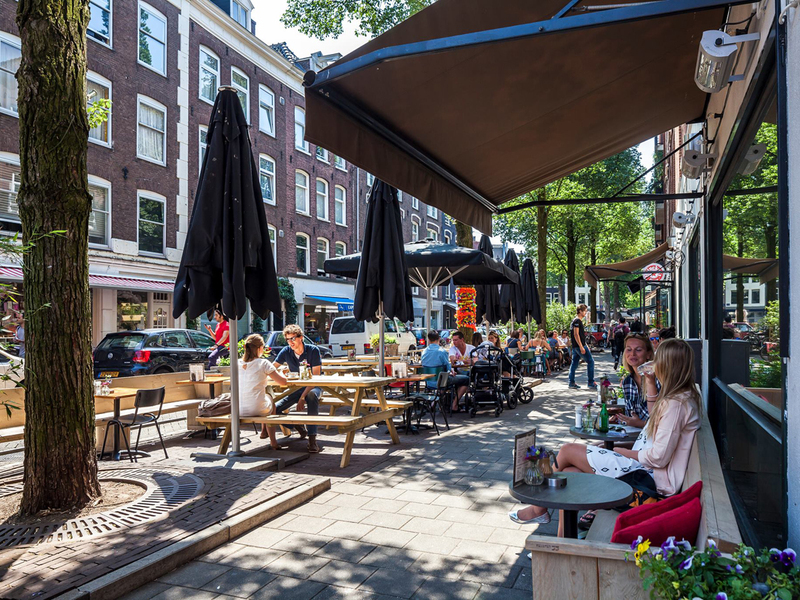 Venster 33 is located on a prime corner in the heart of the ever-happening neighbourhood De Pijp. 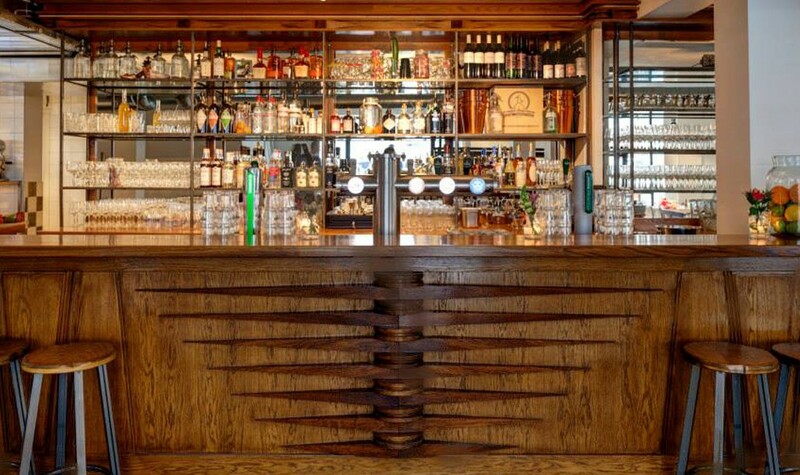 It is an incredibly relaxed and friendly restaurant bar. They are an Amsterdam institution but also support other local Amsterdam institutions by using products from local suppliers. Venster 33 prides itself on being a part of the Amsterdam street scene – and a staple of the diverse and lively De Pijp neighbourhood. They strive to use organic produce in as many of their dishes as possible and in so doing offer incredibly affordable, delicious meals. 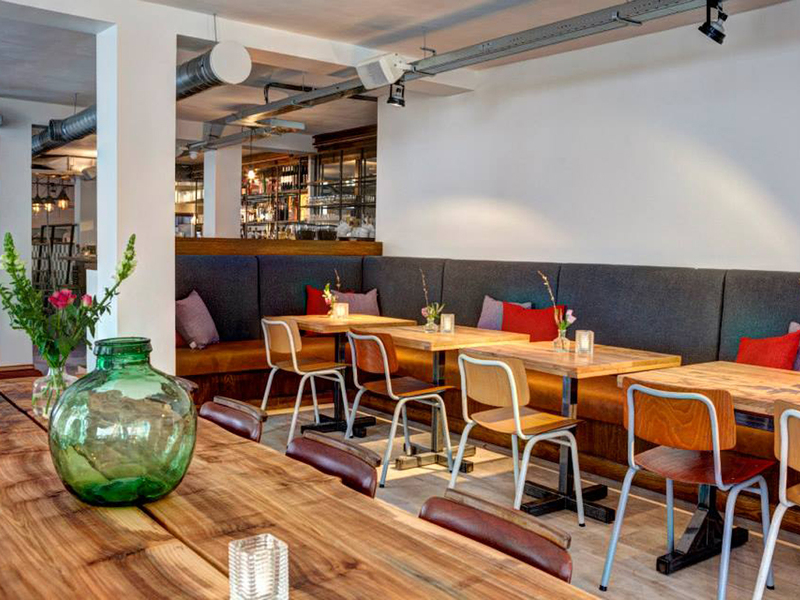 They focus on serving uncomplicated, but super tasty dishes in a choice of two sizes. I guess you make your choice on how hungry you are, or how generous you are feeling in regards to sharing with your dining companion. I opted for the Large Burger with organic home made fries when I was there. The burger was absolutely perfectly prepared; organic meat, a delicious smashed avocado, almost guacamole like topping and smokey melted cheese. The fries were crisp on the outside with just enough salt, but steamy and soft on the inside. It was all so good that I was glad I had decided to be greedy and not share. 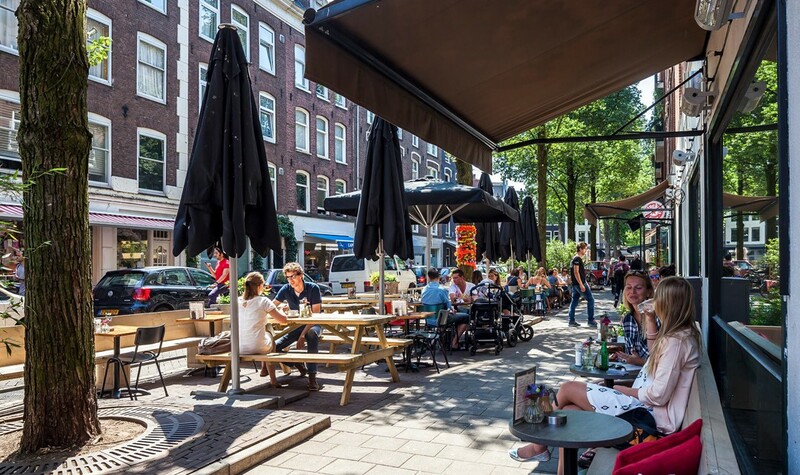 Venster 33 has a huge terrace on a lively corner in De Pijp. With a selection of shareable picnic tables, benches along the walls and smaller tables there is a variety of seating options at this popular spot. The interior dining area is surprisingly large, with comfortable banquet seating and cute “school like” chairs and tables. 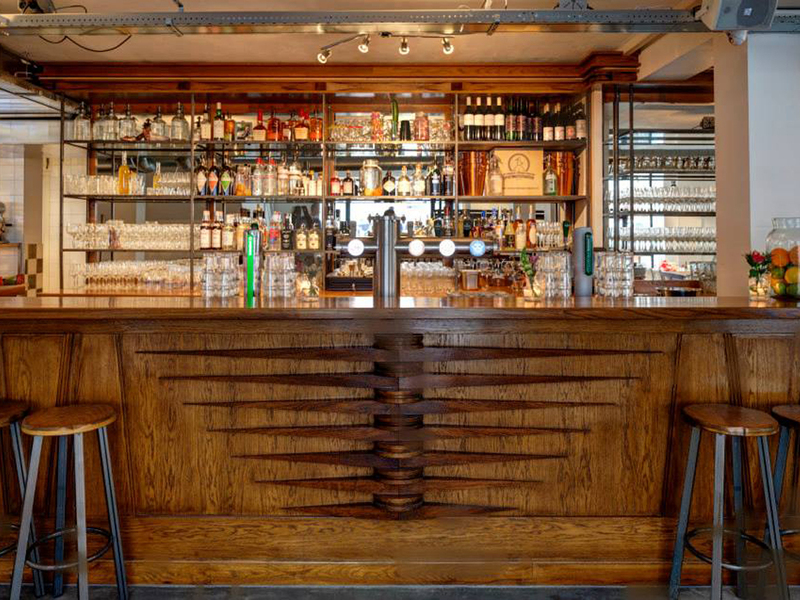 The large bar seems to be Art Deco in design and the big windows to the street give it an airy, relaxed atmosphere making you feel really welcome. The service at Venster 33 is incredibly friendly and warm. The waiting staff almost always appear to have a smile on their faces and make you feel happy to be there. They are attentive and keep a good eye on the lively large terrace and dining area inside. All in all Venster 33 is an excellent combination of friendliness, fun and great value for money organic food. A great place to hang out with friends and enjoy a good old chin-wag. Venster 33 is transparent about their use of organic products wherever possible as well as supporting local suppliers and businesses. 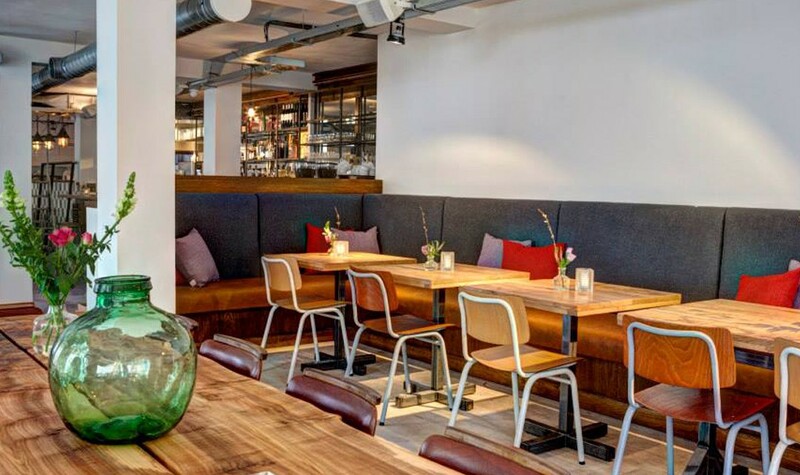 Because we cannot guarantee that all of their ingredients are organic nor do we have much information on how sustainably they run their restaurant we have given them a 2 rating for both the environment and for animal welfare.